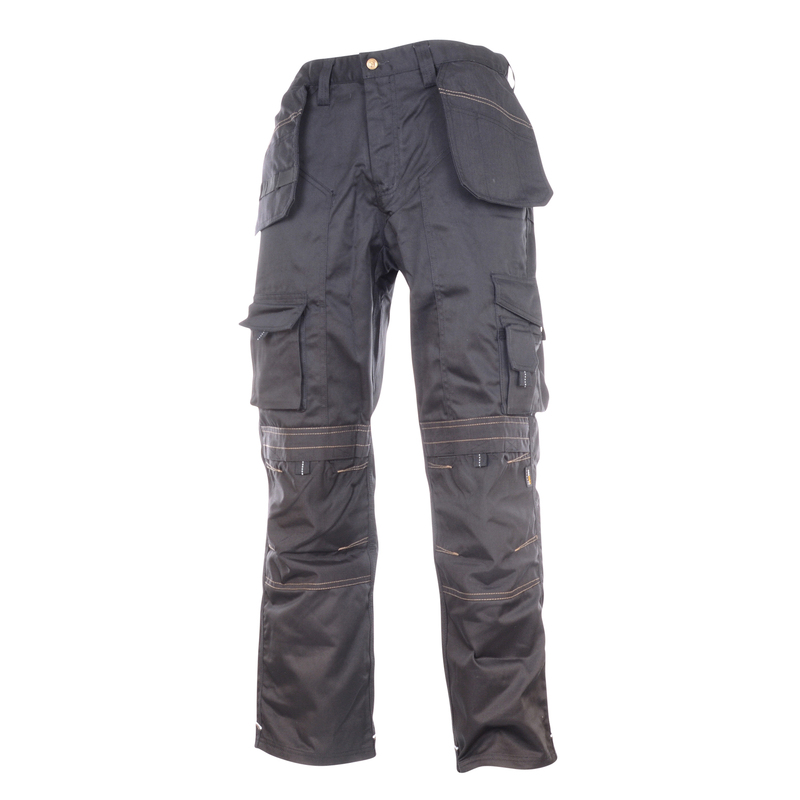 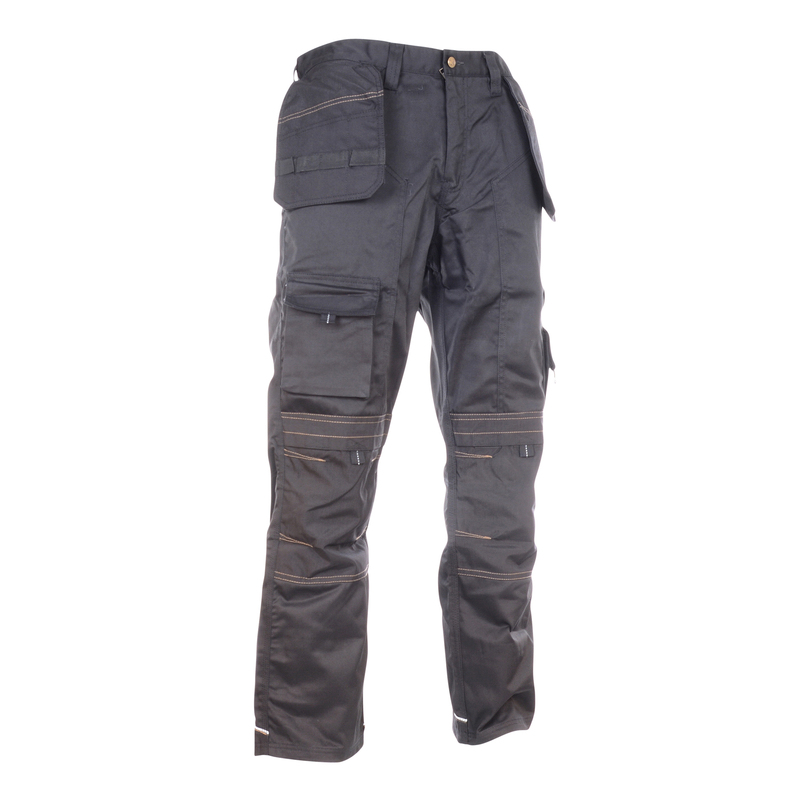 Work Trouser with Holster Pockets - Black, a 280g poly cotton holster trouser which incorporates abrasion resistant Cordura fabric in key areas such as the knee pad pockets. 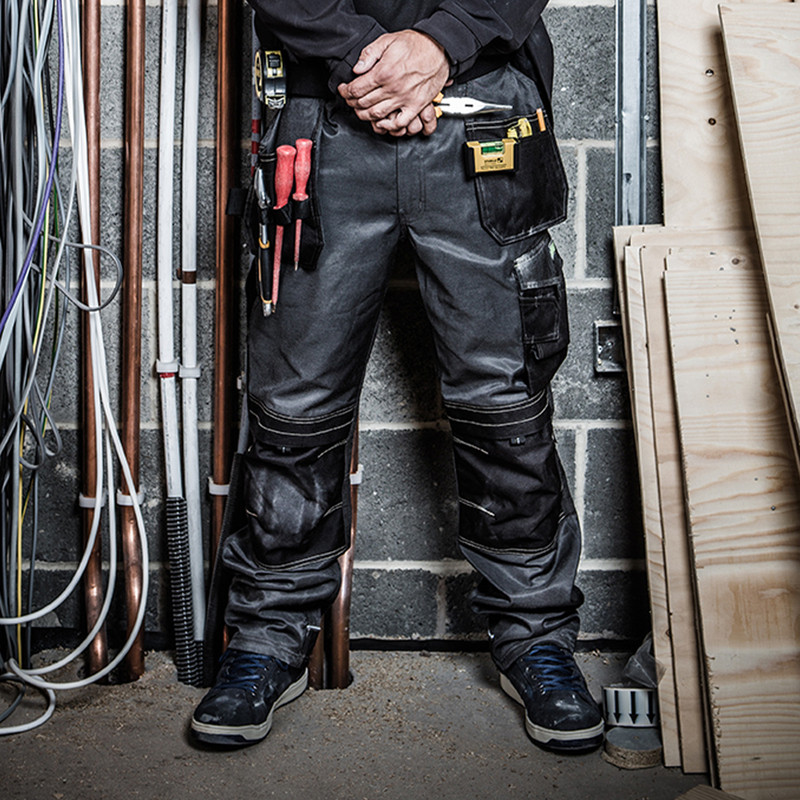 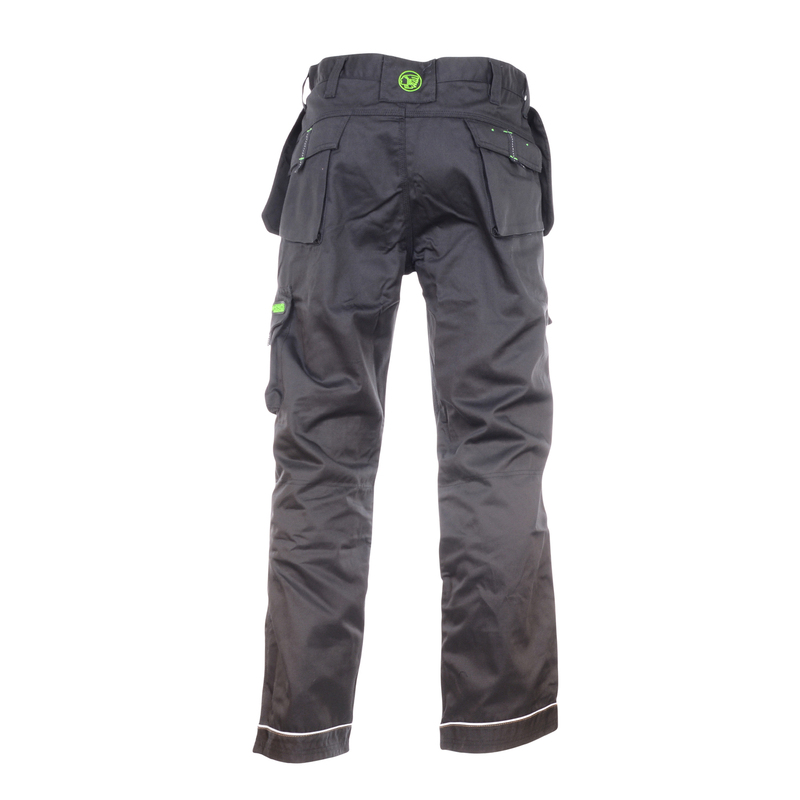 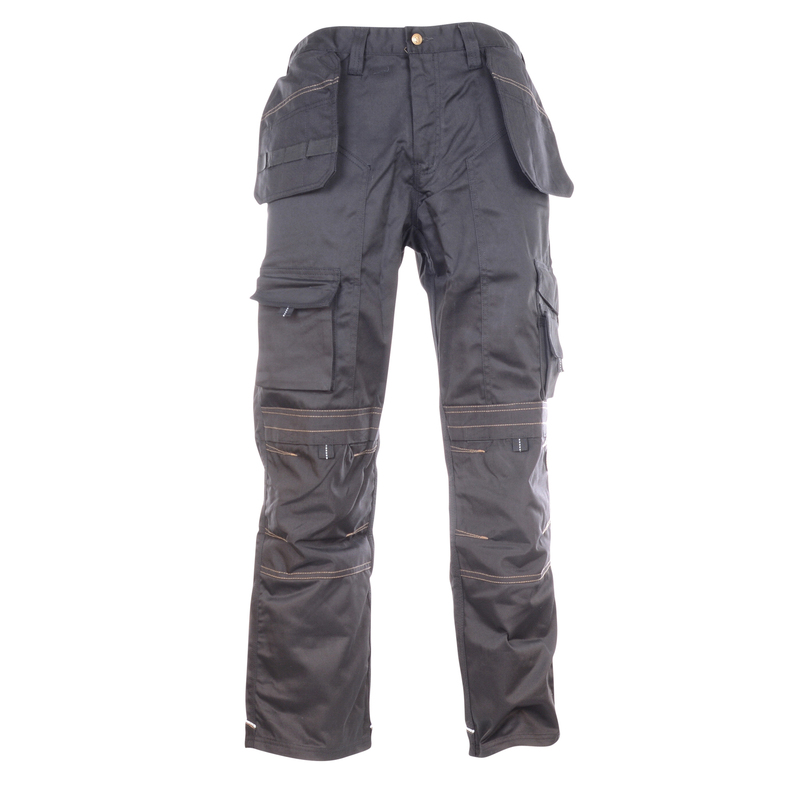 An all round tradesman trouser that is triple stitched at all in the right areas. 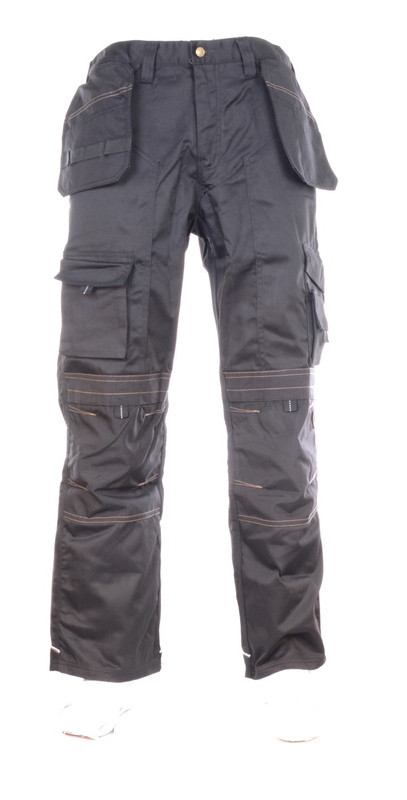 Larger phone pocket for modern day use and two large rear bellows pockets. 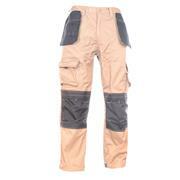 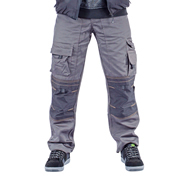 The cordura holster pockets are also manufactured using the Cordura fabric for greater wear properties.